Interested in the level of electromagnetic radiation you are exposed to? Get a personal emf detector! The esi 24 emf detector - preferred by Europe's leading building biologists! Now available in the USA - Buy your esi 24 here! Electrosmog measuring made easy - the esi 24 is a unique emf detector - emf meter with patented electronics. measures high frequency electromagnetic radiation - RF and microwaves up to 10 Gigahertz! Engineered and produced in Germany! 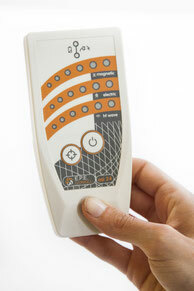 Get the ultimate EMF assessment tool from German buildings biologists for your own home! Buy the esi 24 emf detector here now! super-sensitive Gauss meter function: three-dimensional magnetic field measurement with LED rating of values! 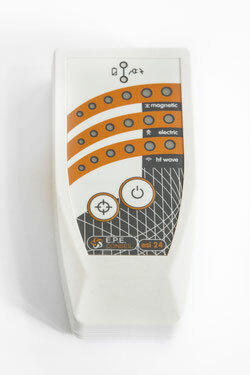 esi 24 emf detector comes with sound effect - similar to a Geiger counter! Click here to buy the esi 24 emf detector! Why choose the esi 24 emf detector? Super-compact size, fits in any pocket - well, almost any pocket. The amazing esi 24 - buy your perfect personal emf detector! Learn about the antenna and probes used in the esi 24 here! Download the esi 24 manual. Questions about the esi 24 emf monitor?